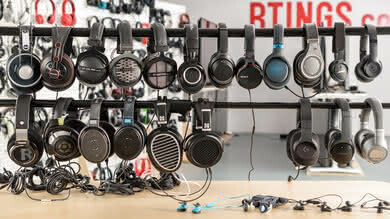 Headphones are, simply put, portable and personal speakers made for listening to music and audio. 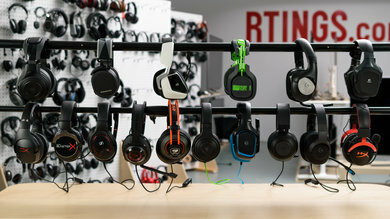 However, in recent years, even casual everyday headphones have become fashion accessories or status symbols that boast big name brands and big price tags to match. 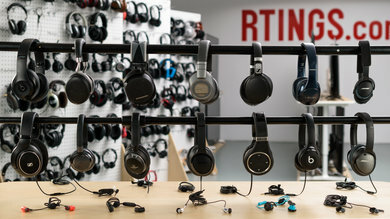 Naturally, some manufacturers figured out ways to profit off this, by making cheap copies and counterfeits of popular headphone models from brands like Apple, Beats, Bose, Marshall, Shure, and many more. 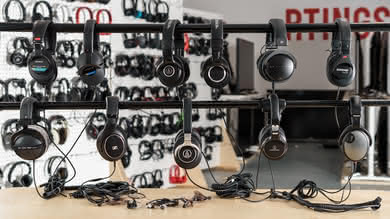 We've decided to get 5 of these knockoff models to compare them to the originals based on their design, sound quality, noise isolation, and active features. Should you get the real or the fake version? Are there considerable differences between the two? Let's begin with the difference in price. 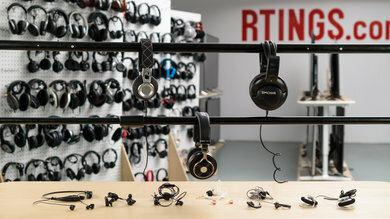 The counterfeits and knockoff headphones come in varying qualities depending on the price range. 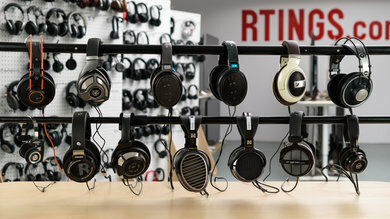 We purchased the highest tier of fake headphones that we could find to have more comparable results with the originals. 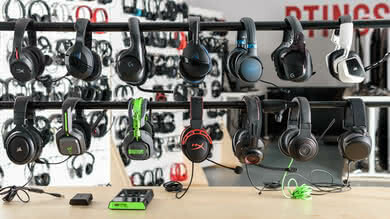 Below is a brief summary table of the 4 main sections we used to compare real vs fake headphones. There's very little difference in the packaging and in-the-box accessories for both the Beats Solo2 and the BeatsX. Looking closely, you can see that the carabiner hook of the Solo2 is a different color and the manual booklet is a little faded. The Beats logo sticker is glossier, and the box is a slightly different shade of red. 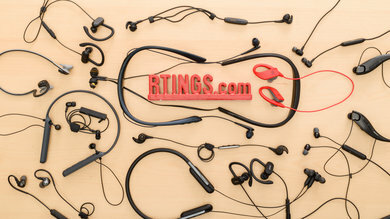 As for the BeatsX, we couldn't get the same grey color variant of the real BeatsX we reviewed. However, they have pretty much the same content in the box. The only difference is the slightly off-color case and the free Apple Music card, which does not have a legitimate serial number to register the (fake) headphones. 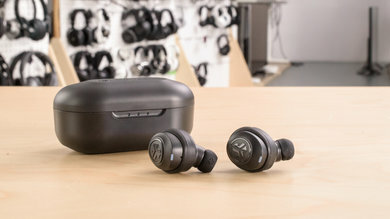 There's also not much difference in the packaging and content of the Bose QuietComfort 25 and Bose SoundSport Wireless compared to the fakes. For the QC25, the slightly off color of the Bose logo on the case and the slightly faded box is an indication of the fakes, but it's hard to tell the difference without having both headphones side by side. 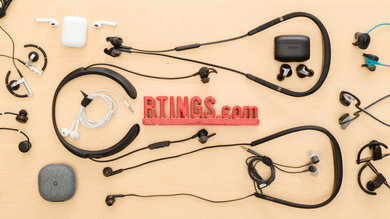 The SoundSport Wireless are also difficult to distinguish without a side-by-side comparison, but as you can see in the picture above, the box is also slightly faded and the carabiner hook is not completely black like that of the original. 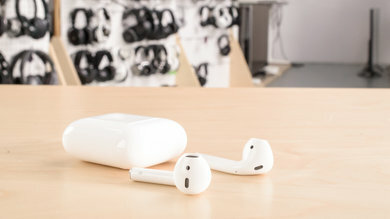 Lastly, for the Apple EarPods, since they do not have any additional accessories they're even harder to tell apart from simply the case and its content. 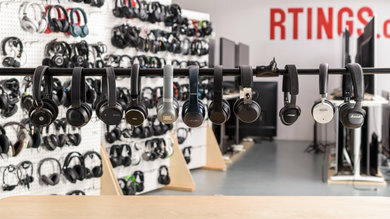 The real and fake headphones look identical and only the slight blue tint of the original plastic cover is distinguishable from the fakes. 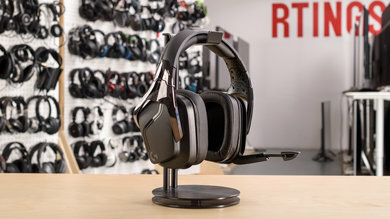 The most noticeable differences in comfort are with the over-ears. 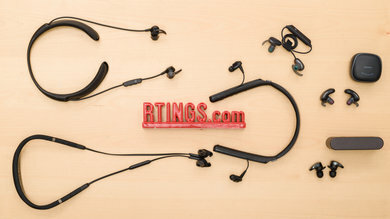 The fake Bose QuietComfort 25, especially, do not have the same degree of motion for their swivel hinge as the originals. While they are still very comfortable, especially for a knock-off, they do not have the same fit and padding as the real QuietComfort 25. The Beats Solo2 also are a bit different when it comes to comfort. While the original Solo 2 have always been a bit tight on the head, the padding of the fake Solo 2 makes the fit even tighter. The pads on the original are a bit more foldable, similar to memory foam, unlike the fakes which feel like cheap foam cushions. The padding on the fakes is also a bit thicker. 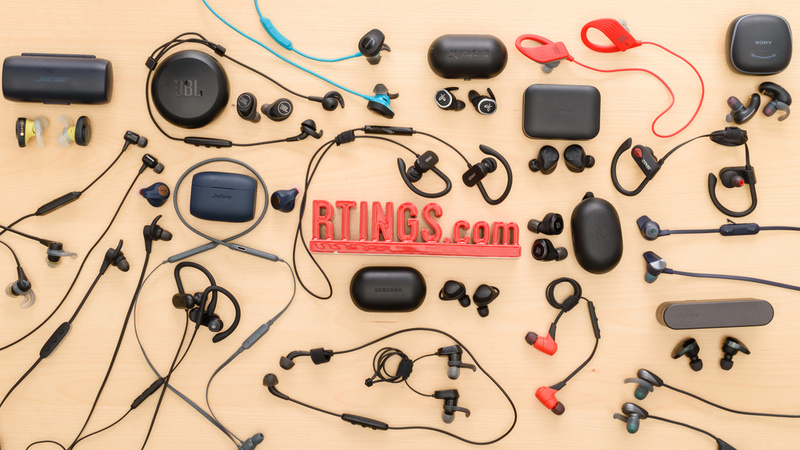 The in-ears and earbuds, on the other hand, have pretty much the same fit as the originals. 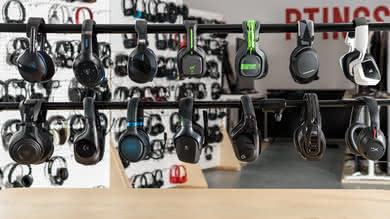 Even the StayHear+ tips of the Bose SoundSport Wireless are the same and as comfortable as the originals. 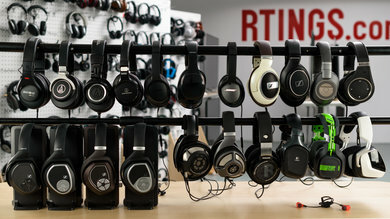 Buttons are not the most important aspect of a headphone's design but it can help you spot copies and counterfeits. The fake BeatsX have poor feedback for their control scheme compared to the original. It's most noticeable with the volume down button, which barely clicks when pressed. The fake Bose QuietComfort 25 have decent buttons, but the inline remote is cheaply built and of lower quality to the original. It rattles when you shake the cable, and it's also a different color to the real QC25's remote. On the other hand, the fake Bose SoundSport Wireless have better, clickier buttons than the original. The real SoundSport Wireless have a pretty thick rubber coating on their inline remote (for sweat resistance), which makes the buttons difficult to press. Lastly, the Apple EarPods and the Beats Solo2 had pretty much the same button layout and feedback as the fakes. They provided the same ease-of-use and level of control. 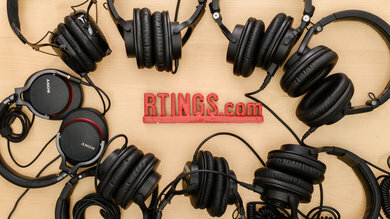 Build quality is one of the key factors to look out for when purchasing fake headphones. 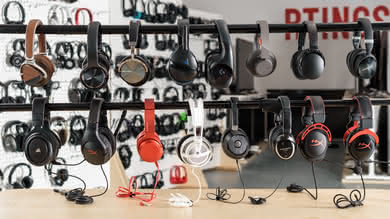 The real Beats Solo 2, for example, are noticeably different compared to the fakes. 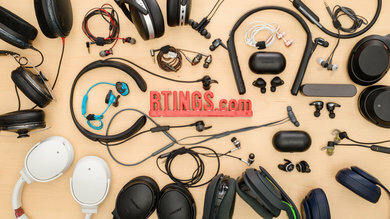 While they are practically the same weight size and shape, the build quality of the fakes is immediately noticeable as you put the headphones on. The headband is very creaky and its padding came loose, as you can see in the picture above. 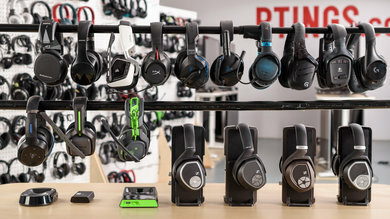 The padding for the ear cups is also different and much lower quality, as mentioned in the comfort section of this comparison. 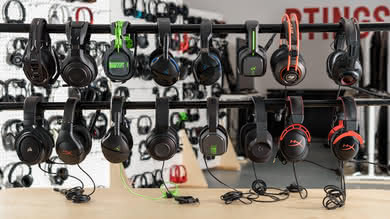 Lastly, the casing of earcups is made of a thinner, lower grade plastic which lets the lights of the LED bleed through, unlike the original. 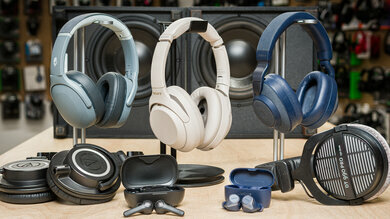 The fake Bose QuietComfort 25 look the part, but have quite a few distinguishing flaws from the original. The assembly of the fakes is not as seamless as the original. Looking at the hinges and joints, you can see the gaps and excess plastic that would have been smoothed out or polished in the original. 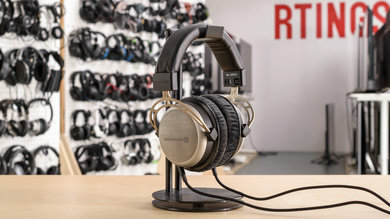 The material cover of the fake QC25's headband already shows signs of unraveling despite minimal use, and the padding feels cheaper than the one used in the original. The fake cable is decently thick but the inline remote is cheaply made, rattles, and doesn't have a three-ringed 1/8 TRRS audio jack. Also, during our testing procedure, the battery got stuck quite often and required a pair of tweezers to dislodge, unlike the real QC 25 which allows the battery to slide out of the compartment when tilted (as shown above). 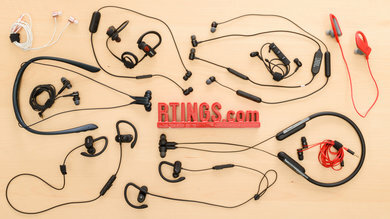 The fake in-ears/earbuds are harder to distinguish from the real ones at a glance. 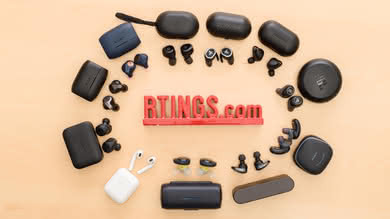 The fake BeatsX show a bit more gaps and imperfections in the casing of the ear cups and the neckband, most likely due to the lower quality control in the assembly process. 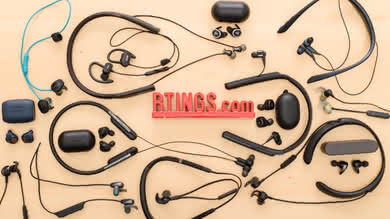 The magnets in the earbuds that help with cable management are also not as strong for the fakes as they are in the real BeatsX. You can see some of the electronics through the microphone hole of the fake BeatsX and the inline remote is not as responsive. 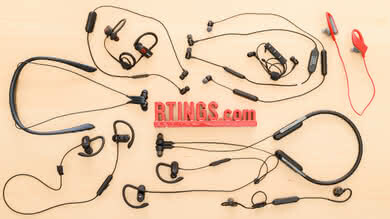 The fake SoundSport Wireless are surprisingly well made and are very hard to distinguish from the real ones. They feel solid, the cable is as thick as the original, and the earbuds are well put together with very few imperfections. The most noticeable difference is that the Power and Bluetooth Led lights slightly bleed through the plastic casing of the earbuds, as you can see in the picture above. Lastly, the Apple EarPods are the most identical to the original. 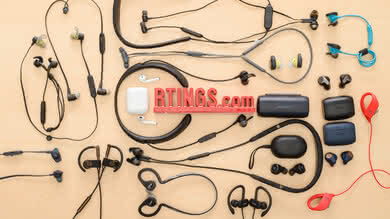 The earbud casing is as dense as the real one, the audio cables are the same thickness, and the inline remote is equally well made. It's easy to confuse the fake and the real EarPods since they have essentially the same build quality. 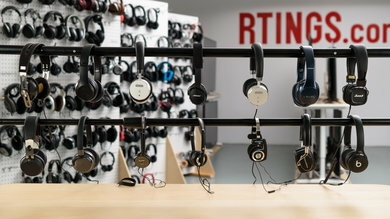 Sound, unlike design, is a lot harder to copy and reproduce. 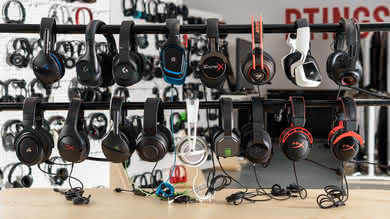 Most of the fake headphones, in this comparison, are easy to detect once you look at the response measurements or listen to the provided audio clips. The fake Beats Solo2 are one of the worst performers in this aspect. The bass response is significantly higher in the fakes, making them sound darker than the real Solo2. This extended bass continues into the mid-range, which drowns instruments and vocals and results in a boomy and muddy response that's made worse by the poorly balanced treble frequencies. 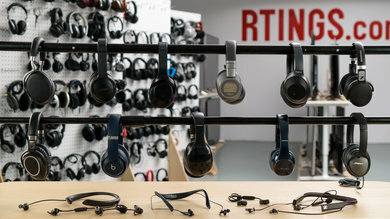 Overall, the fake Solo2 sound much worse than the real ones with a dark and muddy sound that would be a dealbreaker for even the biggest fan of the Beats Solo2. As for the BeatsX, the fakes also sound much worse than the real ones, and the left and right channels are flipped. 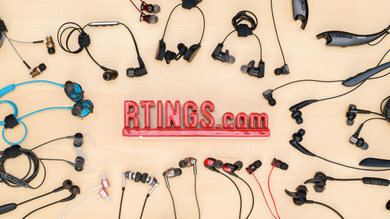 The authentic BeatsX have a surprisingly balanced sound that makes them one of the most recommended in-ears in our buying guides. In contrast, the fake BeatsX are poorly balanced, mismatched, and out of phase. They have too much bass and a more inconsistent treble range. This makes them sound a bit boomy overall and noticeably darker than the real BeatsX. The fake Bose QuietComfort 25 are not as bad as the Beats Solo2 or the BeatsX but still sound noticeably different to the real Bose QC25. 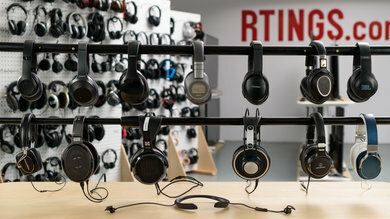 The dip in the mid-range makes the fake QC25 sound less forward with instruments and vocals. 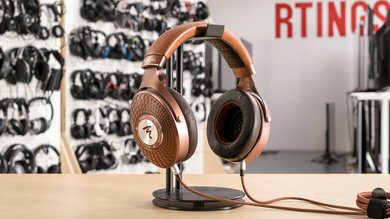 The mismatched treble range is sharper and more inconsistent when compared to the real QC25. This makes their overall sound somewhat exciting but less balanced, and a bit too sharp on already bright tracks. 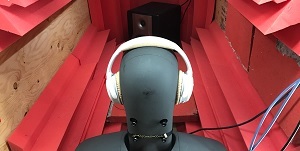 In this case, the fake Bose QC25 will sound decent for most and sound better than some real headphones we've tested, but they just won't be as balanced or reproduce instruments and vocals as well as the real QC25. 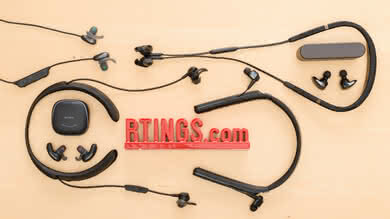 The fake Bose SoundSport Wireless also sound better than expected but not as balanced as the real SoundSport Wireless. The audio reproduction of the fake SoundSport has less low-bass than the real ones. They also emphasize the mid-range more, which makes them sound boxy and boomy and a bit too forward with instruments and vocals. They also have a slight dip in the treble range, which results in a slight loss of clarity and detail. 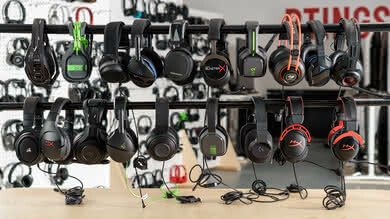 However, the fake SoundSport do not have poor sound and would be adequate for casual listening. 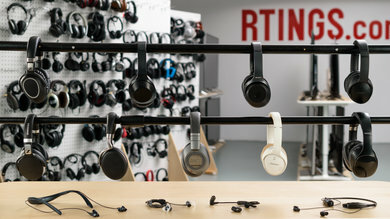 The fake Apple EarPods are one of the worst-sounding headphones that we've measured so far. 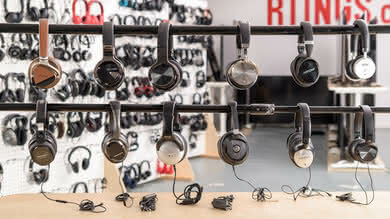 Unlike the original EarPods, which lacked low bass and had a slightly forward and bright sound, the fake EarPods sound piercing on most tracks. They're uncomfortable to listen to and so poorly balanced that you only hear the over-emphasized treble range. The left and right channels are also flipped and out of phase by 179° which gives them a poor imaging performance. 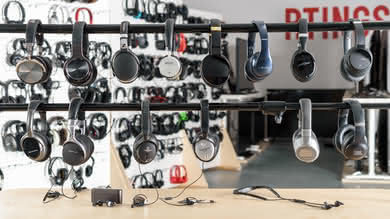 In all the cases, the fake headphones sounded worse but the EarPods and Beats Solo2 have a noticeably poor sound quality. 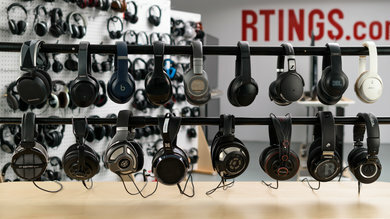 In the case of imaging, most of the fake headphones do considerably worse than their real counterparts. The QuietComfort 25 have a pretty high phase error but the Beats X and the EarPods have reversed Left and Right channels. This means whatever you're supposed to hear on the left side of your track will now be to your right, which flips the stereo image, and does not reproduce songs as intended by the artist, not considering the worse frequency response of the fakes overall. 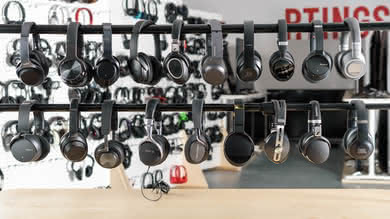 For noise isolation, most of the fake headphones in this comparison have the same or similar measurements to the real ones. 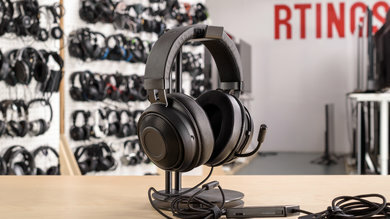 However, since the QuietComfort 25 are active noise canceling headphones, the performance varies slightly between the fakes and the real ones. As you can see in the noise isolation graphs above, the real QC25 has more attenuation overall, especially in the high bass and throughout the mid-range. 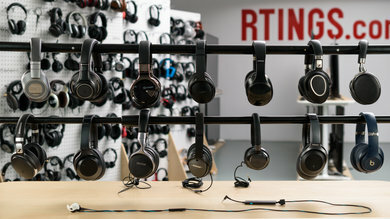 On the upside, the fake Bose QC25 perform surprisingly well, easily beating some of the real noise-canceling headphones we've previously tested from lesser-known brands. 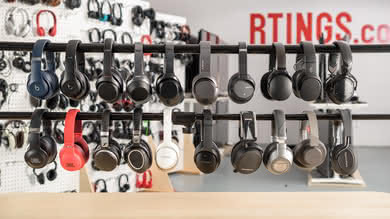 This places them quite high in our noise isolation rankings. 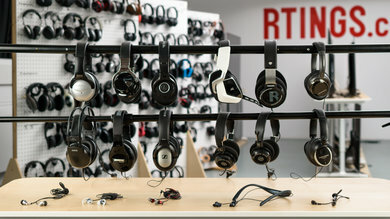 The leakage level for the fake headphones is also quite similar to the real ones which you can check here. 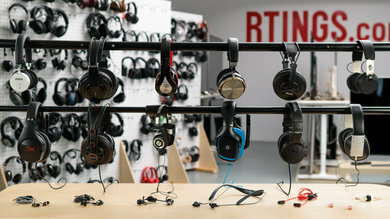 The most noticeable difference was with the Beats Solo2s. The cushion material of the ear cup pads for the fake Solo2 does not block a lot of noise but, surprisingly, does not leak as much as the real ones. This may be due to a slightly better fit on our HMS than the original Solo2. The difference is also not very high. The Apple EarPods and the Bose QuietComfort 25 are wired, so their range is based on their cable length, which is 3.8ft and 5ft respectively. 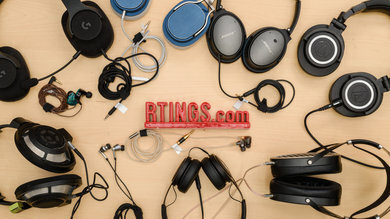 The cable length is the same for the fakes and the originals. 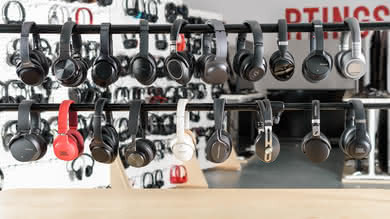 As for the range of the wireless headphones, the most noticeable difference are with the Solo2 and the BeatsX. 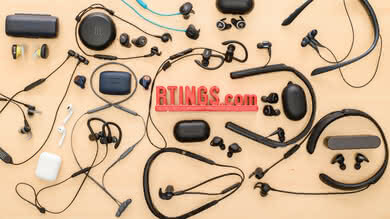 The Beats X have the W1 chip which drastically improves their wireless range compared to the fakes. 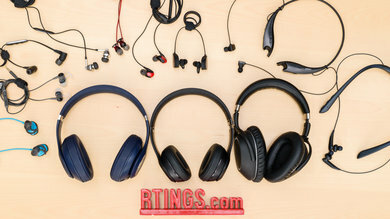 The W1 chip significantly impacts the efficiency and range of the headphones with the chip like the Beats Solo3 or Apple AirPods. Since this is a proprietary technology from Apple, it can't be easily replicated or copied by other manufacturers. The Beats Solo2 do not have the W1 chip, but they still perform quite well indoors when the Bluetooth source is obstructed and decently well in direct line-of-sight. 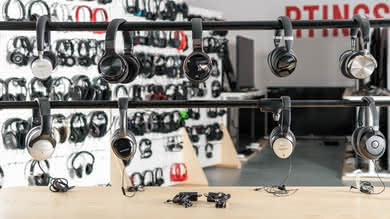 The fake Solo2, however, have the worse performance overall, with a below average obstructed range and poor direct line-of-sight range when compared to other wireless on-ears. 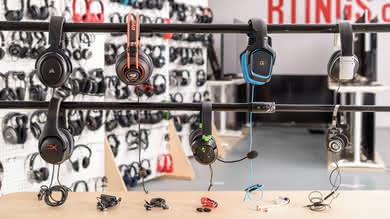 The fake SoundSport, on the other hand, have pretty much the same range as the real ones. However, their pairing procedure is not as easy. Holding the power button triggers a blue pairing LED in the real headphones but the LED stays white. For latency, the Apple EarPods and the Bose QuietComfort 25 are wired and have very negligible latency (below 5ms). 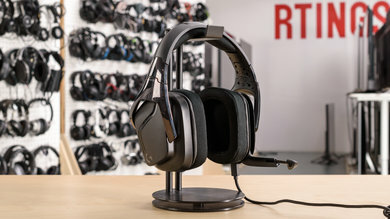 As for the wireless headphones, the latency performance is inconsistent with the fakes. The fake SoundSport did better latency-wise than the real ones. The BeatsX performed about the same, although they have significantly less latency when used with an Apple device, thanks to the W1 chip. However, since we do not have a test bench to accurately measure this compensation yet, we used the default SBC connection with a regular Bluetooth 4.1 dongle. As for the fake Beats Solo2s, they had the most latency at 300ms compared to the 192ms of the original, which is quite noticeable. The opposite is an example of how latency will affect your listening experience. The Apple EarPods are wired and completely passive, so they have no battery life. 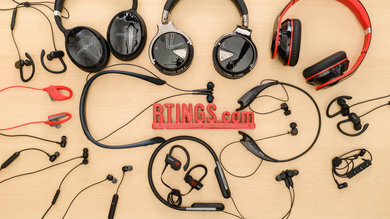 For the active headphones, the Bose QuietComfort use AAA batteries, so their battery life strongly depends on the quality and longevity of the AAA battery. There was a slight difference in the discharge time of the fake QuietComfort 25, but this is within the margin of error for AAA batteries. 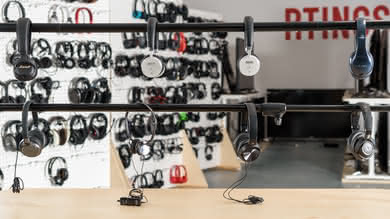 As for the fake Beats Solo2, BeatsX, and SoundSport, there's a big difference in discharge time compared to the real ones. All three fakes lasted significantly less on a single charge, but the fake Solo 2 had only a 1/3 of the battery life of the real ones. This makes them particularly worse, especially since they take about the same time on average to fully charge. The Apple EarPods, the Bose QuietComfort 25, and the Beats Solo2 do not have any app support, much like their fake counterparts. 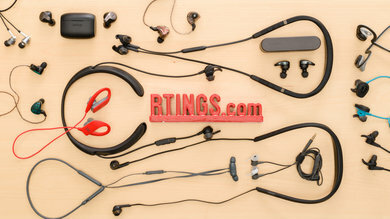 The BeatsX have mediocre support with Apple devices, thanks to the W1 chip. 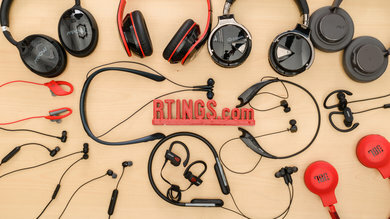 However, since there's no W1 chip in the fakes, they connect like regular Bluetooth headphones with no pop-up. You still get battery data on iOS, though, and on Android with the Oreo update. 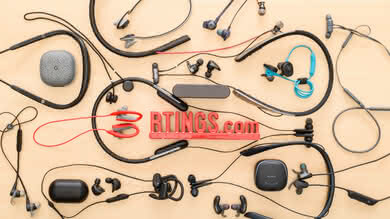 The real SoundSport Wireless support the Bose connect app, which the fakes do not. 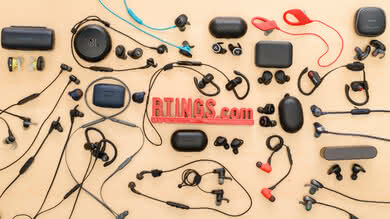 This makes the real SoundSport a bit more customizable, although the app does not offer as many features as when it's connected to the QuietComfort 35 or QuietControl 30. 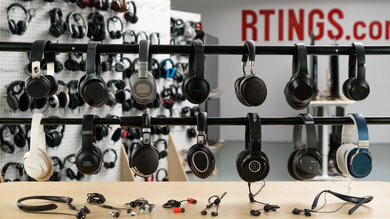 Should you get the cheaper knockoff of a popular headphone? 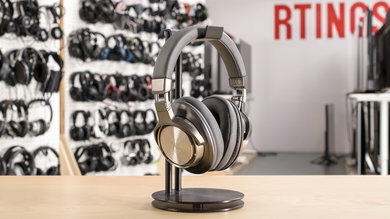 If you just want the unique design and look of the headphone you like and don't really mind sacrificing performance and features, then a cheap knock-off could be a decent option. 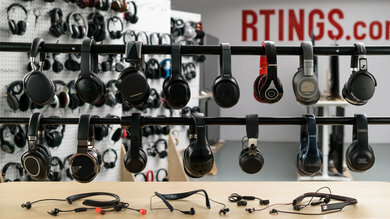 However, most of our tests conclude that you're better off getting the original headphones from an authorized seller (see our article on how to spot fake headphones and avoid buying counterfeits). 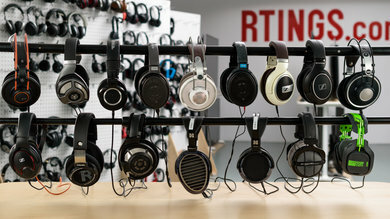 Also, there are affordable wireless options from lesser known brands if you really want a simple and easy-to-use, everyday headphone (check out our best headphones under $100 recommendations).